Django Unchained actor Walton Goggins is fast filling up his slate for the opening third of 2018. As we learned back in December, Goggins is one of many stars set to appear in Warner Bros. and MGM’s Tomb Raider reboot – expect Lara Croft’s origin story to light up theaters on March 16th – and we now have confirmation of another tentpole to add to the actor’s stacked schedule. 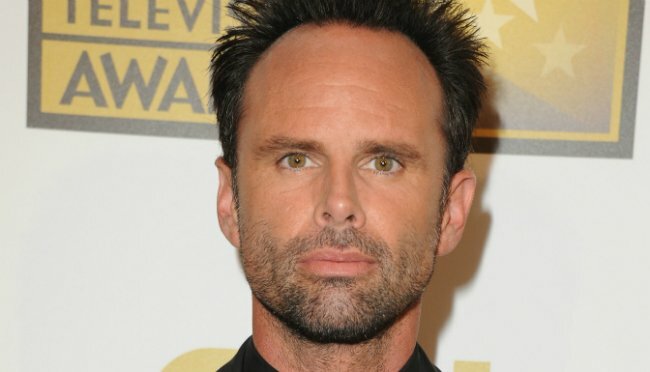 Per Deadline, Walton Goggins has officially climbed aboard Wes Ball’s long-brewing YA sequel, Maze Runner: The Death Cure, where he’ll play the volatile Lawrence. Part anarchist, part revolutionary, Lawrence is considered to be a “voice for the voiceless people,” and those familiar with James Dashner’s third Maze Runner novel will know that The Death Cure largely revolves around Thomas (Dylan O’Brien) and his painstaking search to find a cure for “Flare,” the pathogen developed in the bowels of WICKED (World In Catastrophe: Killzone Experiment Department). Cue the inevitable scramble to ward off the impending apocalypse. In light of today’s casting coup, Goggins now completes a roster comprised of Kaya Scodelario, Thomas Brodie-Sangster, Ki Hong Lee, Giancarlo Esposito, Aidan Gillen, Barry Pepper, Will Poulter and Patricia Clarkson, and production is expected to get underway in South Africa in the coming weeks. Angled as the third and final entry in to 20th Century Fox’s film franchise, Maze Runner: The Death Cure will be with us on February 9th, 2018. Curious to know how Wes Ball’s dystopian threequel is coming together? Over the weekend, MTV rolled out a new featurette for The Death Cure in which a fully-recovered Dylan O’Brien takes you into the bowels of WICKED (World In Catastrophe: Killzone Experiment Department). Check it out below.